The Fitzpatrick Library houses a collection of historical memorabilia and books documenting the history of the area, especially that of the early settlers. The library was built in 1959 in honour of the colourful Sir Percy Fitzpatrick. It also serves as headquarters for various satellite libraries in the communities of the Sundays River Valley and forms an integral part in the upliftment of previously disadvantaged communities. Off the R336 (signposted from Sunland) is the Fitzpatrick Lookout, left to the National Monument Council as a heritage for all by Sir Percy Fitzpatrick’s daughter and son-in-law. Apart from his fame as author of “Jock of the Bushveld” he was regarded as something of a valley pioneer and was not only responsible for encouraging British settlers to the area but was also largely responsible for the start of the Sundays River Irrigation scheme. The Lookout is worth a visit for the views over the Sundays River and to explore the gravesites here, that include Sir Percy and other members of the Fitzpatrick Family. 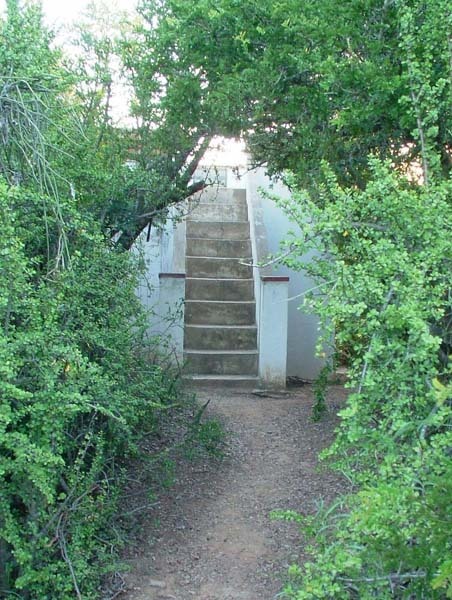 The Moth memorial is situated at the entrance to the Addo Country Estate and the historic old Commando Kraal. Dedicated to the fallen in both World Wars and to the soldiers in the subsequent SA border wars it bears the International Moth emblem and the Armistice. It was erected by the Moths of the Commando Shell Hole in Addo. This Morovian Mission settlement was founded in1816 and the original church with it’s yellow wood rafters, teak window frames and brass hanging lamps, built by the Enon villagers in 1821, is still in daily use. The first oranges to be exported from the Sundays River Valley came from some 100 trees planted by the villagers. This village, as well as the traditional rural village, Bersheba, on the way to Enon, capture the atmosphere of a bygone era and are well worth a visit. From its humble beginnings in 1924, the Sundays River Citrus Company (Pty) Ltd (SRCC), previously known as the Sundays River Citrus Co-operative, has grown to become the largest packer and marketer of citrus in southern Africa. 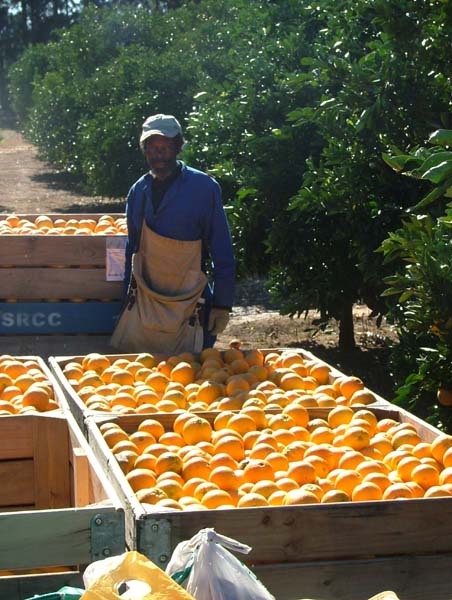 From the 20,000 cartons packed in its first year, SRCC and its grower shareholders have managed to increase their production to the record of 8,5 million cartons that was packed and exported during the 2006 season (12% of this total represents South African citrus crop! ).